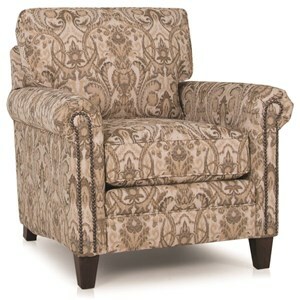 Update the style of your home decor with this upholstered chair. 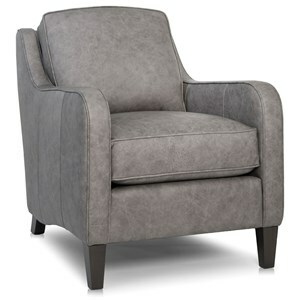 The flared arms and rolled back feature add a contemporary touch to your decor. 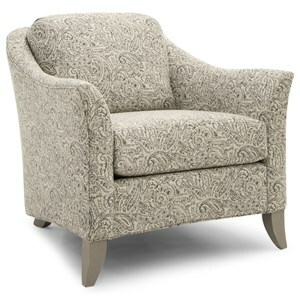 With its tapered accent feet, this chair creates a casual and inviting atmosphere in your living room, family room, or den. 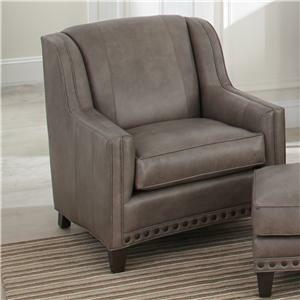 Enhance your home with the casual style of this chair and easily relax in its plush cushion while you watch your favorite shows and movies, read a novel, or visit with family and friends. 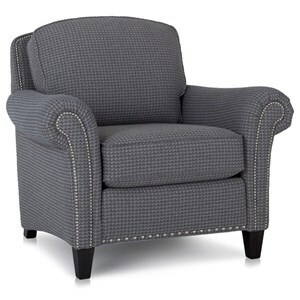 The 961 Upholstered Chair w/ Flared Arms by Smith Brothers at Mueller Furniture in the Lake St. Louis, Wentzville, O'Fallon, MO, St.Charles, St.Louis Area, MO Furniture Store and Belleville, Shiloh, O'Fallon,IL area. Product availability may vary. Contact us for the most current availability on this product. The 961 collection showcases a unique and refreshing style. 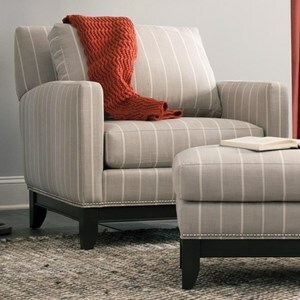 Offering an upholstered chair and ottoman (not shown), this collection can easily satisfy your seating needs in your living room, family room, entertainment room, den or even bedroom. 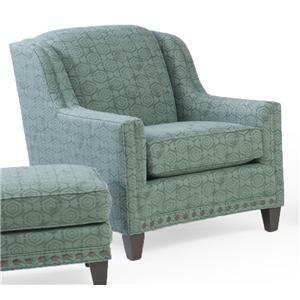 The spacious back of the chair provides maximum support while details such as the rolled back and flared arms coexist harmoniously together to create a comfortable and welcoming decor. The tapered legs add a modern touch while still maintaining a casual appearance so that relaxation and comfort are always present. 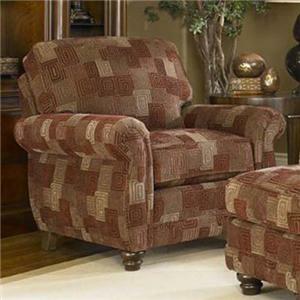 With your option of wood finishes and fabric upholstery, this collection is sure to fit into your home. Also available with a skirt (see 960 style). 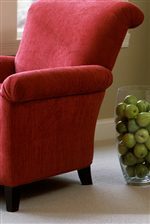 The 961 collection is a great option if you are looking for Casual furniture in the Lake St. Louis, Wentzville, O'Fallon, MO, St.Charles, St.Louis Area, MO Furniture Store and Belleville, Shiloh, O'Fallon,IL area.